The Designer Website Collection is a series of high quality design website templates with pre-selected images, graphics, text type, layout and locations for key calls to action. Where can the new Templates be found? Under Collections, all designs will display. Persona - These focus on you and features your agent photo. Team - These are all about your team. Texture - These incorporate design texture and dimension. Luxury - These highlight luxury design elements. You can search each collection by clicking on the name. Each layout has different customizable elements. To view in detail, click Preview. 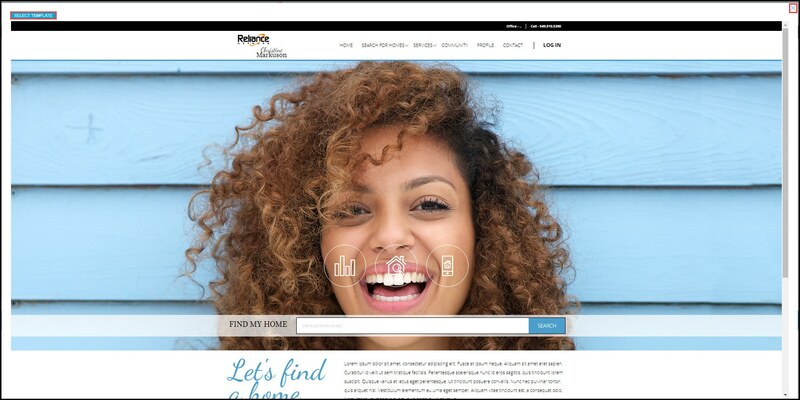 a true representation of what your website homepage will look like. You can close it to preview another layout by clicking the X in the top right. 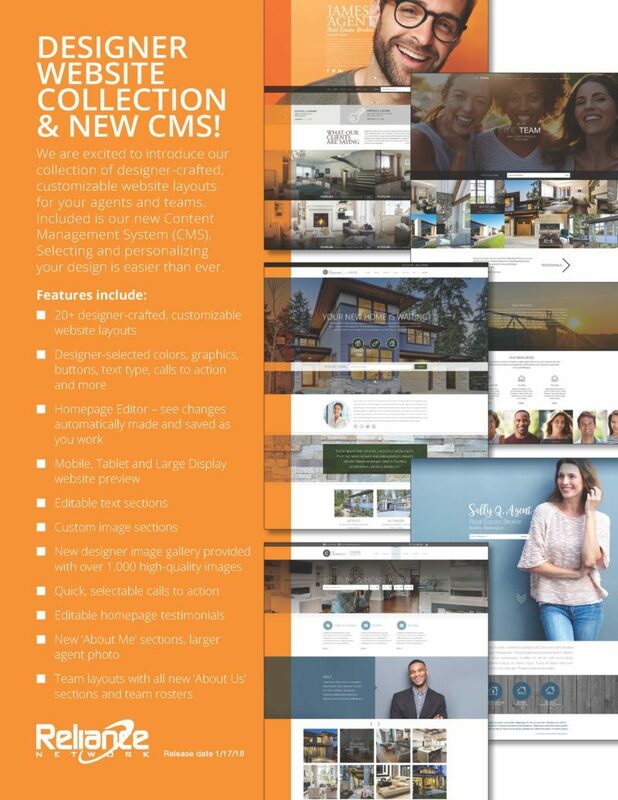 In an effort to transition all websites to the new Designer Website Collection templates, agents and offices will only be able to choose a new Designer Website Collection template beginning Wednesday, March 21. Websites with older templates will not be affected, but agents and offices will not have the option to choose an older template moving forward when making changes. At this time, the new Designer Website Collection templates do not support HTML on the homepage, only the internal pages. 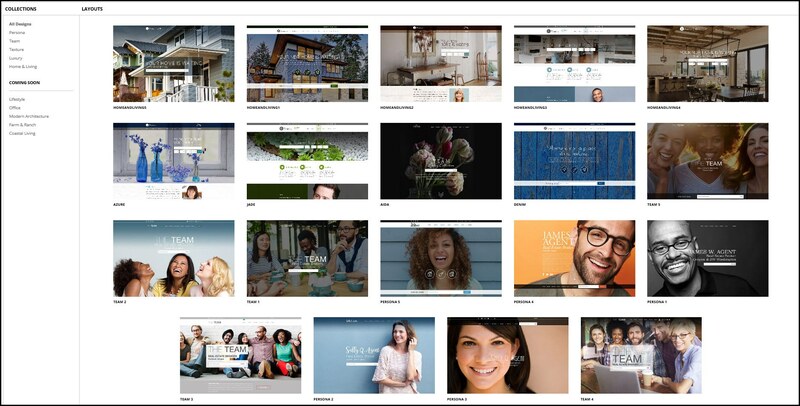 If you have custom features such as YouTube videos or widgets from preferred vendors on your homepage, we recommend you do not switch to a new Designer Website Collection until HTML is supported. To view the new Designer Website Collection, click on Site Builder->Collections->Layouts. Please note: Agents and offices who opt to see a preview of the new Collection templates should exercise caution as there is not a way to recover any previously saved changes (including current live websites) if a new template is selected. You can now upgrade your website to the #1 web publishing platform in use on the web today – while still being fully integrated with CRM3. Put the power of WordPress into your website with engageRE. Learn more on how to upgrade your website to WordPress today.